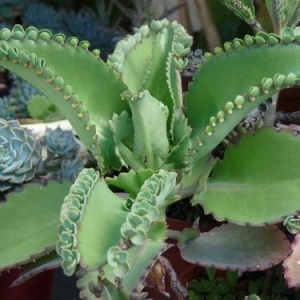 Mother of thousands. Height to 12ins. sun or part-shade makes a good houseplant or a summer potted plant for the patio. After a few years lavender/pink flowers, protect from frost.